Oxford English Dictionary dubbed 2013 the year of the selfie. Experts predict nearly a trillion photos will be taken in 2014. With a camera in every smartphone, and Snapchat and Instagram growing gangbusters, one might think technology was fueling this photo boom. But our passion for pictures is as old as time. Selfies are just today’s version of the cave painting. People are hardwired to respond to imagery: the visual cortex is the largest system in the human brain. While reading is a skill we must learn, picture processing is an ability we’re born with. And the language of pictures is universal. Despite heaps of brain science and social media statistics pointing to the power of visual communications, many nonprofits still give images short shrift. I have seen countless groups agonize over every word in a brochure or blog post, and then drop a stock image into place, almost as an afterthought. You need look no further than your Facebook newsfeed to understand why this is a mistake. In this era of information overload, we’ve all become skimmers and filterers. Words run together on the screen, but pictures draw the eye. At Resource Media, after fifteen years helping cause-based organizations get their messages right, we decided it was time to deepen our practice around visual communications. We pored over cognitive research, interviewed marketing professionals, and shared our top takeaways in our Seeing is Believing report. 1. Emotions rule, and photos are a great way to tap into them. Brain scans have shown that the emotional region of our brain is super active during decision making. This explains why stories are so powerful. Any fundraising professional can tell you that stories move supporters in a way facts and figures never will. Pictures work in a similar manner: rather than engaging our rational minds, they touch our hearts. 2. Show the feelings you want to inspire. We’re allequipped with mirror neurons that help us sympathize with others. We see pain; we feel pain. And if we’re shown images that are too unpleasant, we will often look away to protect against the discomfort they elicit. This underscores the importance of balancing positive, aspirational photos with those that show the problems you are working to address. 3. Don’t rely on your gut. Test images just as you would messages. 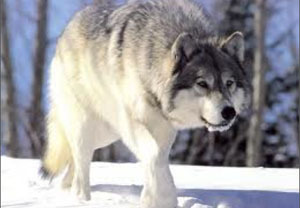 As advocates, we are often too close to our work to be able to judge content objectively.Some photos that resonate with you and your colleagues might leave supporters cold.Consider the two wolf photos below.Wildlife groups might feel the first conveys majesty, but testing reveals it actually inspires fear in many people. 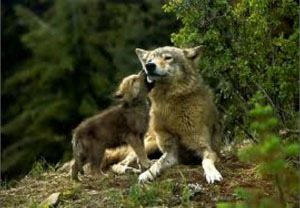 The mama wolf and cub photo is less threatening, and more relatable. Based on the experience of our friends in wildlife conservation, it’s also more likely to be shared. Our method of choice for affordable image testing is Facebook advertising. For $250, you can get 1,000 new fans and invaluable insights into the kinds of photos most likely to make target audiences click. 4. Pair pictures with words for maximum impact. Studies show that both comprehension and recall increase when people take in visual and verbal information at the same time. Again, consider your Facebook newsfeed. Those text-over-photo memes are catchy and memorable. And they have the added advantage of a message that’s baked right into the image. For websites and blogs, spend a little time writing descriptive captions: they tend to get read more than other copy on the page. 5. Invest in good photos, and keep them organized. Whether it’s a smartphoneography training for staff, a day of shooting with a professional photographer, or a contest where you solicit snapshots from supporters, commit to building your photo library. And by photo library, I don’t mean random folders on your personal computer.Flickr is our platform of choice for storing and sharing photos. Organize into albums by subject or event, and use descriptive names and tags. We know capacity is a big challenge for nonprofits working to build their photo libraries and develop more visual content. The good news is that technology has made it possible for communications departments to share the work. Smartphone cameras now take perfectly serviceable photos and video, which means every organizer and volunteer can help document events. Technology has also made it easier than ever to crowdsource photos, and to collect real-time data about the ones that generate the most engagement. One trillion photos in 2014 adds up to a lot of visual noise in your supporters’ online worlds. That makes it all the more important to have a strong image strategy. Remember that emotions and authenticity are the name of the game, and take advantage of click and share metrics to refine your strategy over time. This article first appeared in NTEN: Change.